Monday January 2: We started our vacation by driving to Las Cruces NM. The trip took 12 hours and was 711 miles. The Sun was shining all day. The temperature rose to 60 degrees by the late afternoon. So it was a good trip. We ate dinner a local New Mexican style 70 year old restaurant in a 200 year old building called “La Posta.” Tonight we are chilling out in the hotel. 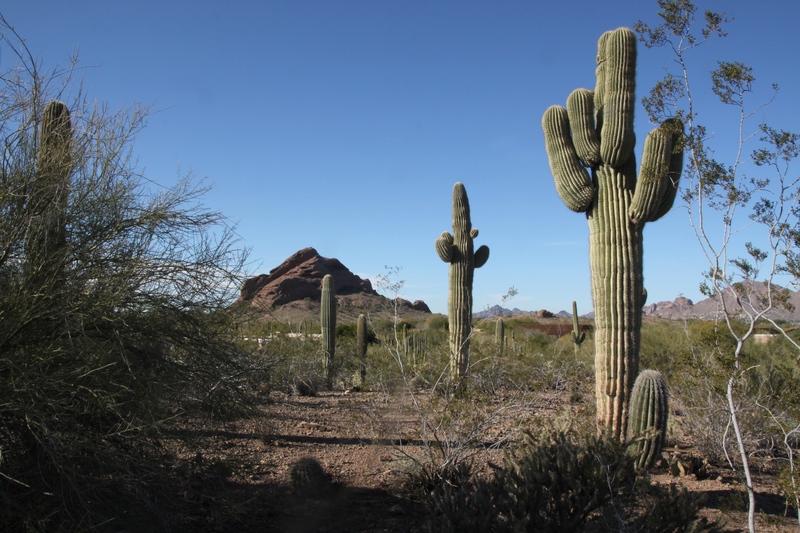 Tuesday January 3: The next morning we drove from Las Cruces to Phoenix. Today was a short day on the road – only 7 hours and 388 miles. We stopped for lunch at the Village Bake House in Tucson. We both ordered sandwiches which turned out to be really tasty. 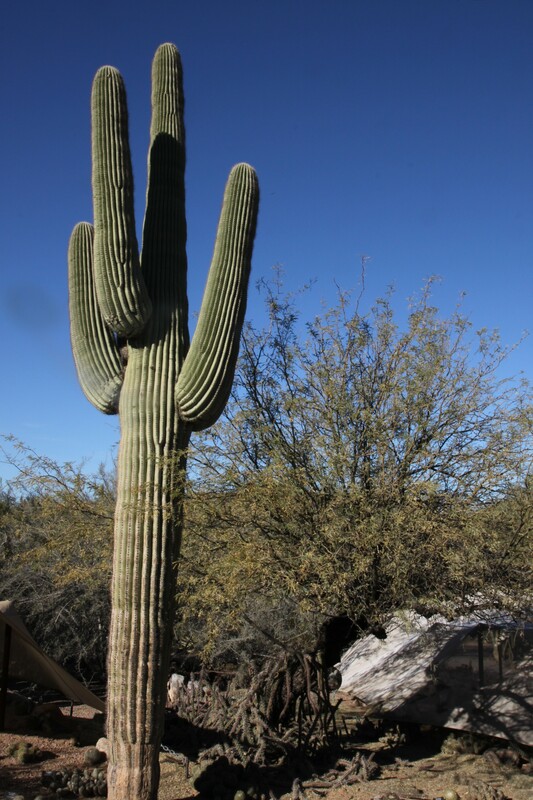 Upon arrival we checked into the hotel we are camping in during our staty – the Hyatt House North Phoenix. For dinner we tried out Beckett’s Table. The style is American Comfort food. Gwen had roast chicken and I had green chile pork stew. Voted one of the 5 best restaurants in Phoenix and I believe. From my limited experience if I could only eat one meal in Phoenix it would be at Beckett’s. 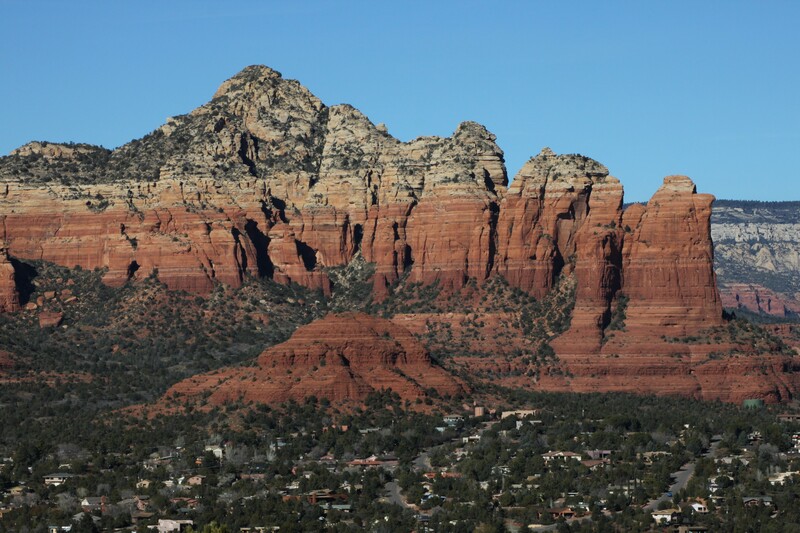 Wednesday January 4: We qdrove to Sedona Wednesday. Ate lunch at Gwen’s favorite restaurant there – Oxaca – Mexican if you can’t guess, and started to hike the Soilder’s Pass trail. However, my knee started aching and since I am not supposed to be exercising anyway until the 18th we turned around. 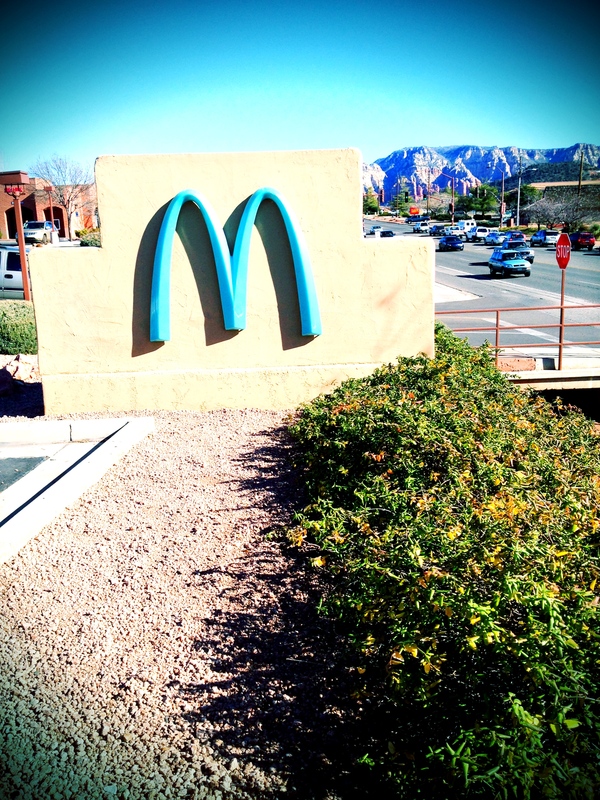 I wanted to get a photo of the McDonalds there with the turquoise arches so we stopped there for a photo shoot. 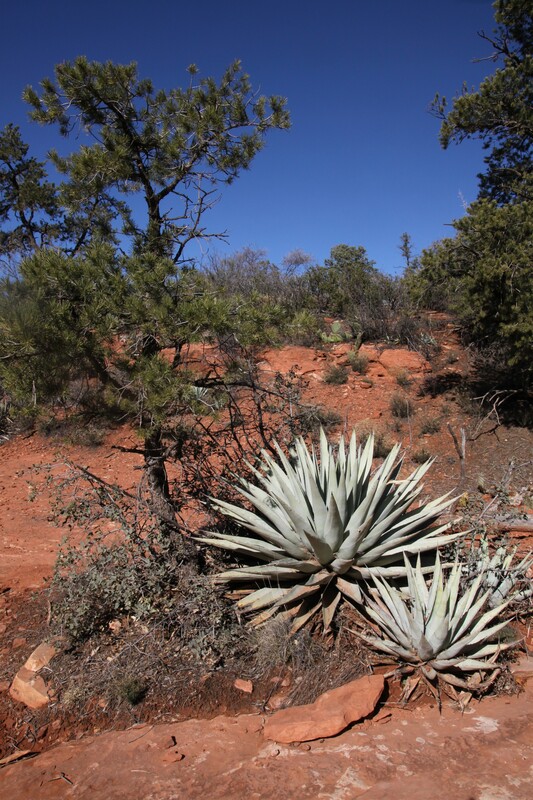 Next we drove to the top of airport Mesa for the best panoramic view Sedona. Finally, we drove by the local Wyndham. It was pretty impressive. We will have to stay there sometime. Back in Phoenix we decided to go to a movie – War Horse. We grabbed a quick dinner at Claim Jumpers before the movie – okay. War Horse was a very good movie. Glad I saw it. Thursday January 5: We started out the day at the Heard Museum. It’s focus is the Southwest Indians. The museum was interesting if you like history and especially Indian history. I do so I enjoyed the museum. Others may find it really boring. After examining the menu and noticing people we coming in just to eat at the museum cafe, we decided to eat lunch there. The cafe stayed with the Southwest motif. I had the posole which was delicious. I would eat there again. 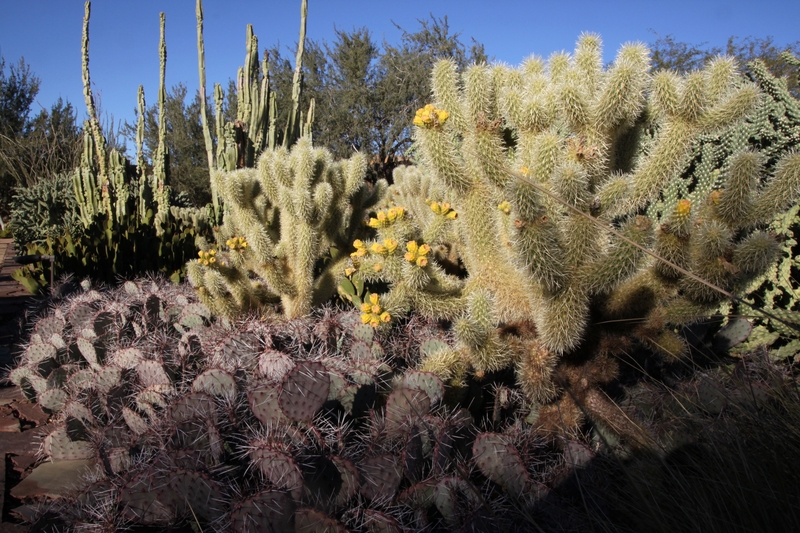 We spent the afternoon at the Desert Botanical Garden. 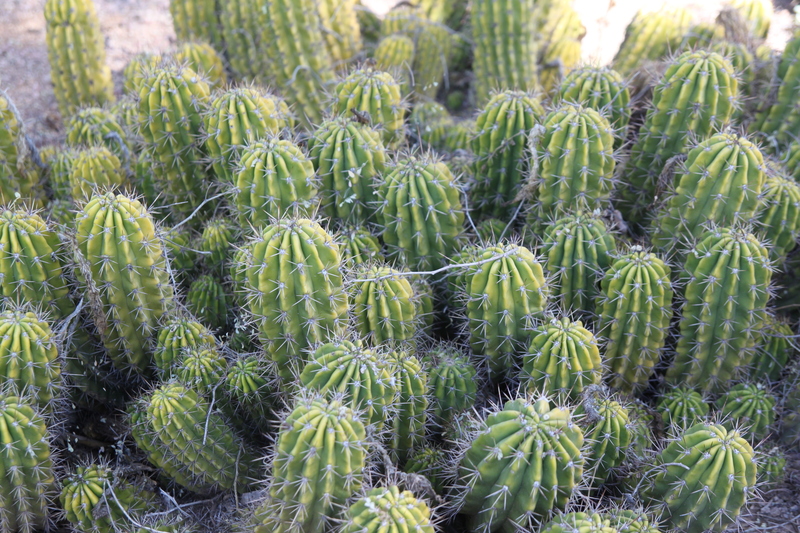 I never dreamed there were that many varieties of cactus. I enjoyed it and would recommend it except in the Summer. The best time of year is probably mid-February through March which is when most plants are blooming. Dinner was Italian at Aielo’s. The owner is from Brooklyn and could not stand NYC anymore so he migrated to Phoenix a few years back. The food and atmosphere were good. I had the seafood linguine. It was homemade and delicious. I would eat there again but don’t order the calamari. It was tough and chewy. Friday January 6: We started home Friday. This was our short driving day – only 7 hours. We drove from Phoenix to Las Cruces stopping in Tucson for lunch. We ate lunch at an eclectic place called “Feast“. It was really good food and I would definitely eat there again. The food was quite varied. For example, I ate the lamb meatball sandwich which came with a tossed green salad. We stayed at the Las Cruces Hilton Garden Inn again which I recommend if you are ever staying in Las Cruces. Friday night we ate at a Southwestern place called “Peppers” whose sister restaurant is a steak house called “Double Eagle” which also received high ratings. It is the best food I have had in Las Cruces. 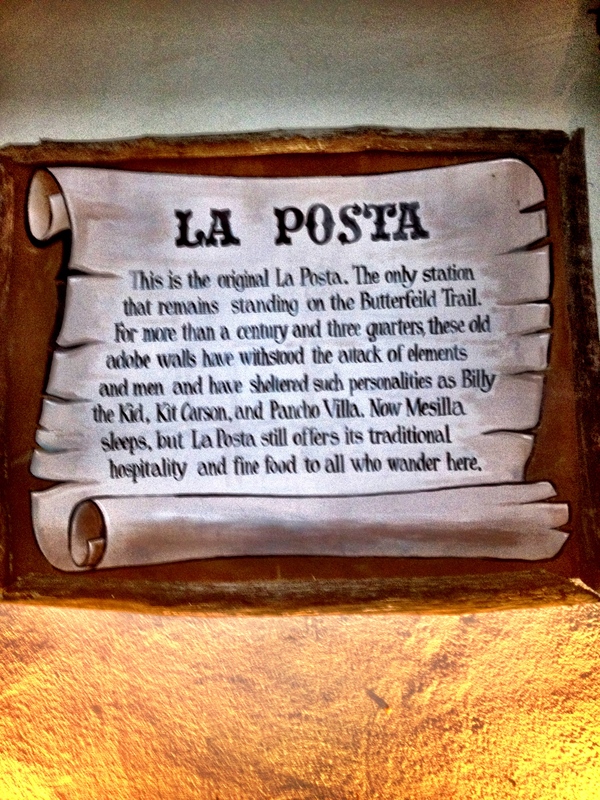 Of course I have only eaten at two restaurants, here and “La Posta” which was also good. 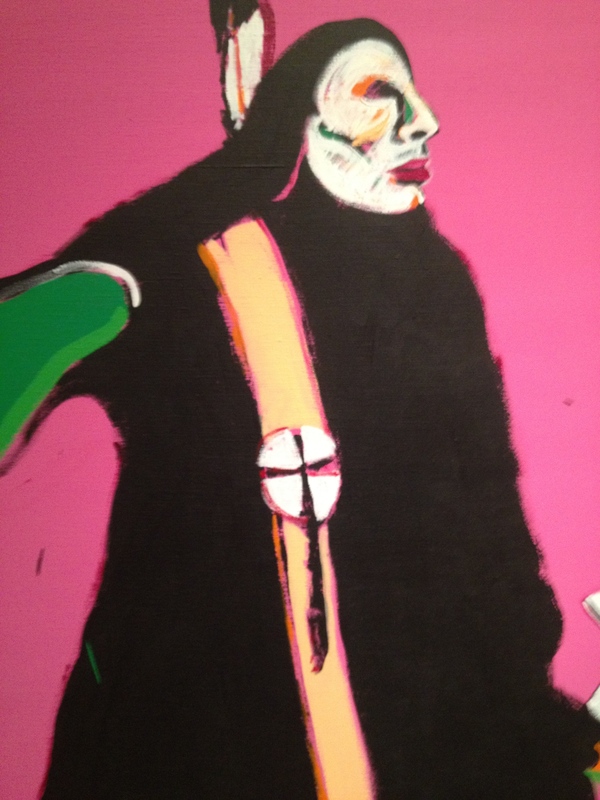 Saturday January 7: We drove from Las Cruces to Dallas today. The trip was 11.5 hours including a lunch stop at Midland. Midland is really the only place to stop along the way unless you like McDonald’s and Whataburger. Sara met us at the car rental at DFW with my car and between the 3 of us we promptly lost the car key. We found it after a half hour of taking the car and luggage apart. Wait, the fun is not over yet! To top off our road trip vacation we dined at “Vera Cruz” in Oak Cliff with Sara and Mike and went to the Mavericks game before finally arriving home at midnight. This entry was posted on Saturday, February 4th, 2012 at 3:06 pm and is filed under Family, Food, Uncategorized, Vacation. You can follow any responses to this entry through the RSS 2.0 feed. You can leave a response, or trackback from your own site.